Dr Luke Grzeskowiak from the Robinson Research Institute, University of Adelaide, Australia and associates studied the impact of asthma on fertility in women in a study on more than 5,000 women in Australia, New Zealand, the United Kingdom and Ireland.The researchers found that Women with asthma who only use short-acting asthma relievers take longer to conceive whereas women with asthma who use long-acting asthma preventers like inhaled steroids conceive as quickly as other women. The findings of the research have been published in the European Respiratory Journal. The research was led by pharmacist and research fellow, Dr Luke Grzeskowiak from the Robinson Research Institute, University of Adelaide, Australia. He says that the results provide reassurance for asthmatic women that using inhaled corticosteroids to prevent symptoms does not appear to reduce fertility. He explained: “Five to ten percent of all women around the world have asthma and it is one of the most common chronic medical conditions in women of reproductive age. Several studies have identified a link between asthma and female infertility, but the impact of asthma treatments on fertility has been unclear. More than ten per cent of women in the study said they had asthma and, overall, these women took longer to get pregnant. But women using short-acting beta-agonists only, took 20% longer to conceive on average. 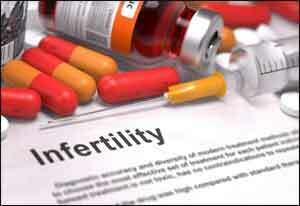 They were also 30% more likely to have taken more than a year to conceive, which the researchers defined as the threshold for suffering infertility. This difference remained even after researchers took other factors which are known to influence fertility, such as age and weight, into account. He added: “What we don’t yet know is exactly how asthma or asthma treatments lead to fertility problems. As well as affecting the lungs, asthma could cause inflammation elsewhere is the body, including the uterus. It could also affect the health of eggs in the ovaries. The researchers acknowledge that they did not recruit women from the time that they started trying to conceive, meaning that the researchers excluded women who were unable to become pregnant naturally. Professor Mina Gaga is President of the European Respiratory Society, and Medical Director and Head of the Respiratory Department of Athens Chest Hospital. She said: “Asthma is a common condition but in the majority of cases it can be well-controlled with the right medicines. Women who are trying to conceive and women who are already pregnant are naturally concerned about the effects of their medicines, although there are large studies showing that asthma medications are safe, in fact safer than not taking medication.